By now, we have all heard about probiotics and their beneficial contributions to human health in some way or another. But does the name Lactobacillus GG ring a bell for you in particular? If so, then you are probably familiar with the probiotic world and what it has to offer for your head-to-toe wellness. If not, then it wouldn’t hurt sticking around a little bit longer to find out exactly how this tiny, yet powerful bacterium can make all the difference for your health and happiness alike. At a first glance, you might be tempted to believe that all the hype surrounding probiotics is due to commercial schemes aimed at tricking us into spending our money on something we don’t actually need. After all, how many yogurt brands have you seen that did not have some sort of probiotic-related packaging as of late? Advertising strategies aside, you should know that probiotics are extremely important in the economy of human wellbeing. These ‘good’ microorganisms are one of the many types of bacteria which inhabit our organism both inside and out. The main difference, however, is that probiotics actually exist in a sort of symbiotic relationship with our gastrointestinal and urogenital system. As a result, ‘pro-life’ bacteria of this nature ends up promoting improved digestion, better immunity, and even ameliorated mental health. By contrast, other bacteria such as fungi, microbes, and yeasts tend to develop excessively and create all sorts of diseases within the body, from infections to bowel issues and decreased resistance in the face of long-term imbalances. Probiotics, therefore constitute helpful microorganisms residing throughout the length of the gut in the shape of colonies which work alongside your natural rhythms in order to obtain enhanced nutrient assimilation and protection against various ‘bad’ bacteria. One such ‘good’ microorganism is LactoGG (Lactobacillus GG or Lactobacillus rhamnosus GG) a highly researched and subsequently employed strain of the Lactobacillus genus. Although the two names are often used interchangeably, there is a slight difference between them in terms of origin and meaning span. The Lactobacillus rhamnosus GG strain of this probiotic was first isolated in the year 1983 and then patented in 1985 by Barry Goldin and Sherwood Gorbach. The doctors used their surname initials in order to better define this bacterium, hence obtaining the GG code. Presently, this Lactobacillus rhamnosus variation is one of the most well-studied probiotics in terms of scientific research and breakthrough discoveries related to health instances. LactoGG is also a trademarked denomination, but this one has been more prominently associated with the Culturelle brand over time. The company in question specializes in Lactobacillus rhamnosus probiotic supplements that come in different formats (chewable, child-oriented products, immunity enhancers, etc.). Even so, the health-boosting popularity of this ‘good’ microorganism has transformed LactoGG into a household name in the probiotic field, with hundreds of readily available scientific papers focusing on the properties and advantages of this probiotic in particular. As a result of these recent findings, an increasing number of people have started using LactoGG in the last couple of years, whether via the aforementioned company itself or by resorting to other foods and supplements infused with the Lactobacillus rhamnosus GG strain. Regardless of the name by which you choose to call it, LactoGG can prove itself to be an indispensable tool in the search for an overall enhanced sense of welfare in your day-to-day life. The most prominent of these contributions is, of course, that regarding gastrointestinal rhythms and how they can be improved by employing this type of probiotic on a regular basis. Although opinions are still divided within the scientific community on whether LactoGG is a permanent or transitory presence within the gastric system, the fact of the matter is that this beneficial bacterium can greatly improve digestive processes by ameliorating substance assimilation, combating lactose intolerance, and regularizing bowel motility in time. Studies have shown that Lactobacillus GG can actively influence your gut microflora and therefore generate fewer instances of inflammation, imbalances or vulnerability in the face of various pathogens. In addition, LactoGG supplementation can be used to counteract Enterococcus infestations and alleviate their symptoms (nausea, fever, cramping, etc.). Preliminary tests show a promising potential for LactoGG in terms of preventing and ameliorating the side effects of antibiotic-induced diarrhea, which occurs as a result of this sort of medicine damaging the intestinal microbiota alongside the more harmful bacteria as well. Episodes of gut imbalance are often accompanied by dehydration, abdominal pain, and fatigue, which is why resorting to an effective and safe counterbalance – in the shape of probiotics like LactoGG – is always a welcomed health solution. In the same line of thought, it has been demonstrated that LactoGG can contribute significantly to immunity and how we fight off different types of infections all throughout the body. For example, LactoGG covers a larger spectrum of screening against pathogens by relieving instances of almost anything between respiratory problems and skin breakouts. 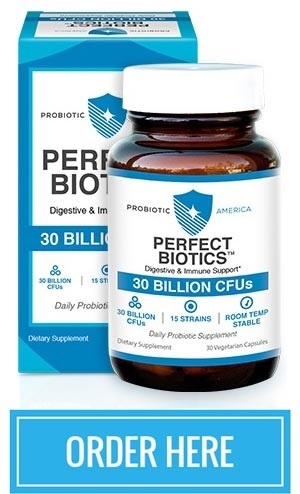 These findings ultimately come as no surprise in light of the fact that probiotics are known for their antimicrobial and antiseptic properties, which have prompted specialists to consider them your organism’s own ‘natural antibiotics’ and your gut the central hub of immune support. One of the main positive aspects currently associated with LactoGG is its capacity to act as a therapeutic alternative in the case of various allergies, especially in the case of children. 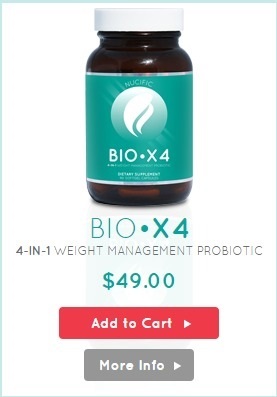 One 2012 study showed that this particular probiotic had the most successful results in both laboratory experiments and subject-based tests in terms of reducing the occurrence of food allergies without causing any major side effects in the process, as well as boosting nutrient absorption and immunomodulatory responses. It turns out you can even make use of Lactobacillus GG to improve your mental health via the brain-gut axis, namely the direct connection between your mental state and gastrointestinal functionality. Research argues that probiotics of the Lactobacillus genus, for instance, are capable of influencing your overall responses to neurological imbalances such as depression, anxiety, and other mental issues (chronic fatigue syndrome, bipolarity, etc.). Consequently, having a ‘clockwork’ working gut does not only mean being generally healthier, also happier and more productive on a long-term basis. 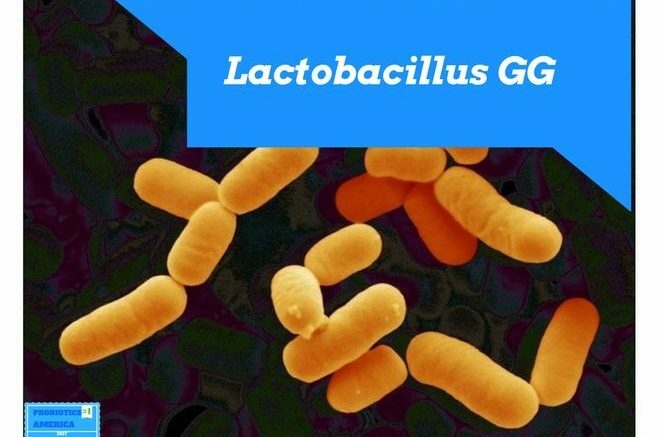 How Can Lactobacillus GG Affect Your Body? Despite all of these beneficial effects, there are also certain instances where Lactobacillus GG supplementation can do you more harm than actual good. One such situation involves having a vulnerable or compromised immune system. This medical condition increases your chances of developing sepsis, a life-threatening situation where bacteria – like probiotics, for example – enter the bloodstream and create a widespread infection within the body. 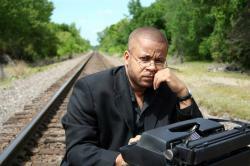 LactoGG enhancement is thus discouraged in these circumstances in order to avoid further complication. A healthy individual can also experience a number of side effects typically associated with a new or particularly intense LactoGG regime. These include abdominal cramping, bloating, nausea, and irregular bowel motility (constipation/ diarrhea). Symptoms of this type should subside within a couple of days up to a week; if they persist, then check by your doctor to see if LactoGG is indeed the right probiotic booster for you after all. In more extreme and rare cases, some people have been known to experience allergenic reactions when using LactoGG as a probiotic in the shape of swelling, developing hives, and having difficulty breathing. Although serious in their own right, it goes without saying that these examples related to the likely side effects of LactoGG are isolated and (in)directly linked to the individuals’ previous health condition. Presently, LactoGG is marketed as a safe and wide-spectrum usage probiotic. How to Increase Your Lactobacillus GG Intake? You might be asking yourself: ‘if probiotics are a natural component of the human organism, then why should we need more of them in there?’. While this ultimately represents a good observation, the truth is that our probiotic colonies are permanently faced with the threat of lowered numbers due to factors such as antibiotic treatments, illnesses, bad dietary habits, and intestinal problems. Hence, external supplementation is needed in order to restore your Lactobacillus rhamnosus GG count via probiotic foods and enhancers alike. The selection of these items is also favorable, with brine pickles, olives, and sauerkraut being one of the most readily available sources of probiotics and, by extension, of Lactobacillus GG. If you want to diversify your palette in this area, then Asian delicacies such as Kimchi, Natto, Kombucha tea, and Miso paste or soup are also a significant source of both beneficial bacteria and interesting flavors to work with. Moreover, LactoGG can be found in products like soft cheeses, natural yogurts, and other dairy variations (buttermilk, kefir, etc.). Probiotics are a natural part of the fermentation process since they transform milk sugars into lactic acid – thus reducing lactose intolerance and aiding ease digestion – with a lack of pasteurization or a post-pasteurization boost of these microorganisms ensuring you are getting all the gastrointestinal help you need through your dietary regime. As one of the most researched and valued probiotic strains, LactoGG can be found in a number of dietary enhancers of all shapes and sizes, which means it is up to you to decide which supplements best fits your overall description of health, digestive needs, and current lifestyle. Remember: before starting any sort of LactoGG augmentation in your regime, you need to consult with your doctor first to get their approval. As mentioned before, some conditions interact poorly with probiotics, so it is best to always be on the safe side of things when it comes to health issues. While it’s no secret nowadays that probiotics are a source of wholesome and organic wellness, LactoGG appears to be coming in strong by reinforcing this already long-line of health-boosting microorganisms. Studies have more or less proven its favorable influence on digestion, immunity, and even mental stability, while its large-scale employment in probiotic foods and supplements stands as proof of LactoGG’s strong popularity among the public. To conclude, it makes all the sense in the world for you to try out Lactobacillus GG as your next probiotic enhancer and see whether this little – but powerful – bacterium can change your life for the better. Chances are you’ll never turn back from it again! Be the first to comment on "Lactobacillus GG | | Benefits & Side Effects"